A recent study from the Harvard University TH Chan School of Public Health reveals that children in the United States just aren’t drinking enough water for optimum physical and mental health. Many of them drink plenty of fluids but an alarming number don’t drink enough good, old-fashioned water. Almost 25% say they never even touch the stuff. Boys are 76% more likely than girls to not drink enough water to maintain healthy hydration levels. Black children are 34% more likely than white children to be dehydrated. Almost 25% say they don’t drink any plain water at all. These kids — more than 4,000 of them between ages 6 and 19 — were part of the National Health and Nutrition Examination Survey conducted between 2009 and 2012. To measure dehydration, Kenny’s research team used urine osmolality to measure urine concentration. Adequate hydration earns a low score, with higher scores signaling increasing degrees of dehydration. One way to gauge dehydration without the test is urine color. When properly hydrated, urine will be clear or very light in color. The darker the color, the more dehydrated the person. 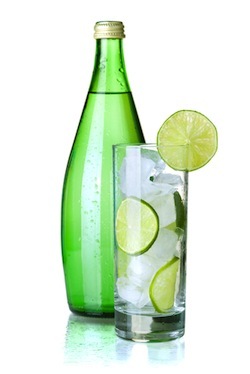 It is important to drink enough water every day to keep urine very light in color. Kids 9 to 13 need between 7 and 8 cups of liquid per day. Teens 14 to 18 need between 8 and 11 cups. Too many children are allowed to choose sugar-sweetened beverages and fruit juices instead of water. These beverages contain salts and other minerals that collect in the kidneys and they do not promote urination frequent enough to clear the kidneys. These collected minerals can develop into painful kidney stones that may require medical intervention. Kidney stones were once considered a disorder of middle- and old-age but they have become more common in children as children are turning away from water and drinking other fluids instead. In addition to kidney stones, mild dehydration causes dry mouth, dizziness, headaches, and racing heart rate. Dehydrated children are cranky, more prone to foul moods, and experience impaired cognitive function and poor physical performance. Multiple studies have shown that having cool water readily available to children encourages them to drink it. At home, parents can keep water chilled in the refrigerator instead of other beverages. Children who don’t often drink water say it’s too bland but tossing a few slices of citrus fruits or strawberries, a small handful of blueberries, or a few chunks of mango into a pitcher of refrigerated water adds flavor without the harmful sugars of commercially manufactured beverages. Sending a water bottle with kids off to school or out to play encourages healthy drinking, too. Welch, Ashley. "U.S. kids aren't drinking enough water." CBS News. CBS Interactive Inc., 11 June 2015. Web. 19 June 2015. "Dehydration." KidsHealth. The Nemours Foundation, n.d. Web. 19 June 2015. "Kidney Stones in Children." National Institute of Diabetes and Digestive and Kidney Diseases. US Department of Health and Human Services, n.d. Web. 19 June 2015.